Google My Business (GMB) is a fantastic tool for local SEO. You can understand Google My Business as an interactive directory powered by Google to list online and brick and mortar businesses. GMB lets users manage how their business will appear and perform on search engines. If you have a local business, you must utilize Google My Business. It’s important because Google is the biggest search engine in the world. And when online surfers search for a local business, Google crawls its own database and come up with relevant search results. 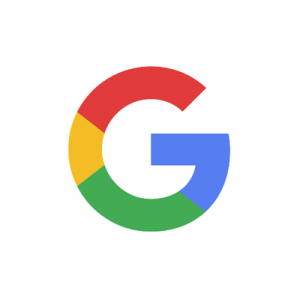 Another big advantage of using Google My Business to power your local business is the seamless integration with multiple Google products and properties. For example, Google doesn’t just show a business listing in Google search engine results pages. It also displays the business in Google Maps, Knowledge Graph, etc. The seamless integration and broader visibility lend great credibility and exposure to the business. From the consumer’s point of view, GMB is helpful because it allows users to find basic information about a business, visit the website or physical location, contact businesses instantly, and read or leave reviews for products or services. How to set up Google My Business? Setting up a Google My Business account is easy, but it may take some time to verify the business. You can get started by visiting the official Google My Business link. Sign in with your Google account and search for your business on the Google Maps with its name and address. When you find your business, claim it. Enter the basic information like name, address, phone number, and business hours. Add a photo for your business if you so like and hit done. Google will now send you a verification code by mail on your physical address after which you can access additional GMB features. It may take some time before you receive the envelope by Google with the verification code. Once you receive it, enter the code into your GMB account to start optimizing it. Remember that the code is valid only for 30 days. Google My Business has a lot of potential and plenty of useful features. It offers amazing tools that attract, engage, and convert potential leads. The trick is to smartly use all the available GMB features and keep potential customers informed with what’s new and valuable for them. Here are a few things that you should do to optimize your GMB listing. The key to achieving results with GMB is keeping it updated. Log into the GMB dashboard regularly and make necessary updates to your business listing. For example, you might be opening early for a festival. Let consumers know that. Not only will it be useful for the consumer to know but Google also appreciates updating prompt information and providing a great user experience. This practice could later reflect on your business ranking. With the rise of mobile searches and making decisions to visit a business on the go, the importance of regularly updating important events, office hours, etc. have become all the more crucial. If you want to serve traffic on your GMB listing directly, try making use of the call-to-action buttons. Here are the three interactive buttons to help you improve communication with your potential customers. Google’s Booking Button is an independent Google feature that can be integrated with My Business using scheduling software. This will result in your GMB listing producing even better results. You can enable the messaging feature — already a part of GMB — to receive direct messages from customers. Just go to the GMB dashboard, click on messaging, and verify your number to enable the messaging feature. You can optionally type and update a text message for sending to customers. There is another integral feature of GMB called the Questions Answers. It lets customers ask certain questions about your business, and you can answer those as you like. Note that GMB pops no notification for a new question. It sends an email though. Check for the email or find your questions manually by clicking ‘check for questions’ on Google Maps. Google lets you seek customer reviews, which is a great way to build consumer trust in your business. BrightLocal’s 2017 Consumer Review Survey found out that 97% of people read online reviews when looking for a local business. 85% of people count on the online review as much as on a personal recommendation. Google has a set of published guidelines, staying under which you can ask people to review or rate their experience with your business. Google guidelines protect a business from the grudgeful reviews of ex-employees and competitors. So, don’t stress out about negative reviews that could harm your reputation. If you want to actually benefit from the GMB review feature, take it seriously. Respond to positive reviews with gratitude and negative reviews with an appropriate apology. Promise negative reviewers a better experience the next time, and on the back end, figure out what actually went wrong and fix it. Posting photos and videos regularly is a great way to keep consumers interested and coming back to your brand. You can update photos on your own or encourage consumers to share the photos they have. It works just like reviews. You can encourage people to post a photo of their experience with you. The results will be the same; increased local customer trust and improved customer retention rates. As mentioned earlier, Google My Business is by far the best online “directory” for any local business trying to make its mark. Apart from Google My Business, however, there are several other online directories that you can use. To learn more about them, read 7 online directories for listing your business for local SEO.